Corzetti and croxetti are two very distintive shapes of pasta but historically have similar roots in the culinary tradition of our region. Their history takes us back several centuries, where small pieces of dough were torn into pieces and then flattened into little discs with a slight indentation, similar to small shells.Food Historians like Giovanni Rebora, in his book La civiltà della forchetta have traced these unique Ligurian shapes all the way back to their origins from Provance where they have over time worked their way into the culinary traditions of many Italian regions, being the forefathers of many similar, regional shapes. 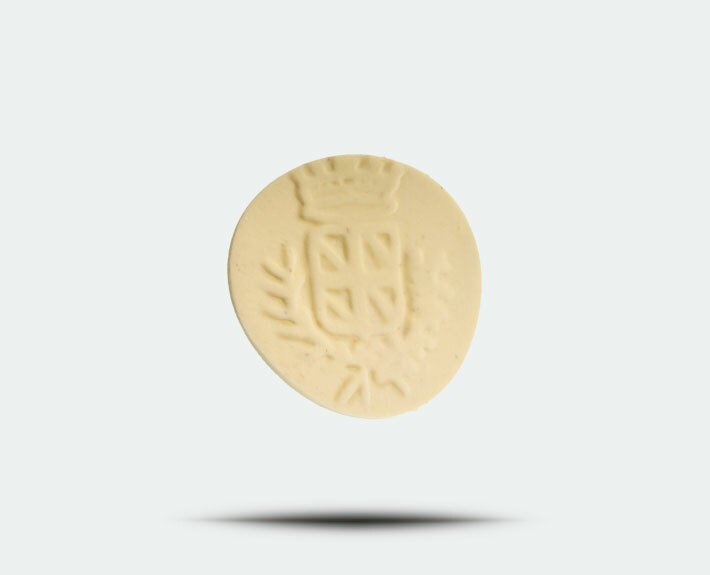 Croxetti (also known as crosetto) in the Ligurian Riviera have since taken on the unmistakable form of thin, flat intricately decorated, coins. In fact many historical documents describe this evolution from a simple disc flattened under a glass, or under a coin, to the wooden stamp in which the discs were pressed into, embossing on each a pretty design, or a family crest. 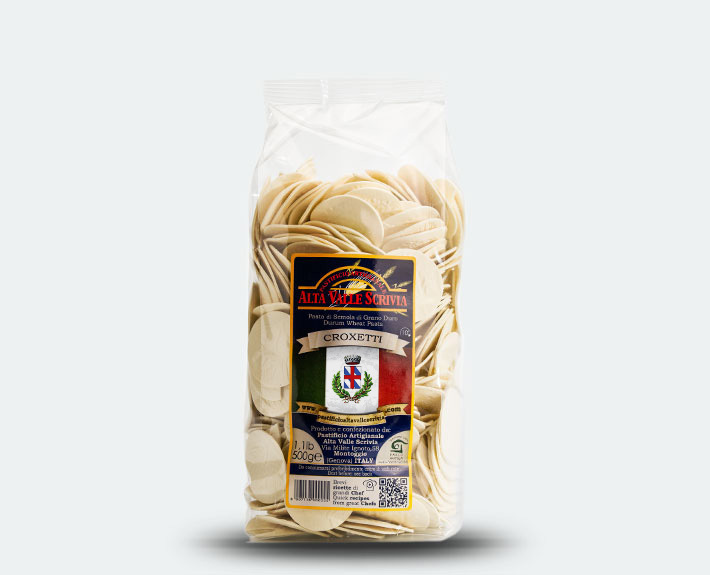 No other shape is a more beautiful reminder of local food culture, and their wonderful fresh pasta consistency and characteristic quality make them one of our best-selling speciality shapes.